We Did It! The Playoffs! The Redbirds are giving Memphis something it hasn’t seen since 2000, a playoff-caliber professional baseball team. So don’t spend your weekend on the standard gimmicks of exotic foods or monkeys riding dogs. Instead take a trip to AutoZone Park and see a team that represents Memphis on a national level. Come support your Memphis Redbirds! The Redbirds first playoff game against the Albuquerque Isotopes starts Wednesday at 8:05 pm CST and can be viewed on Milb.tv or heard on Steve Selby’s radio broadcast available on Sports 560AM. The Redbirds will return to AutoZone Park Friday night for the only promised playoff game in Memphis. Games four and five, if necessary, will be at AZP on Saturday and Sunday. Tickets here. Now, a Memphis Redbirds playoff history lesson. The team’s last ride through the PCL postseason was a very fortuitous one, with the last game leaving a mark on AZP forever, literally…a red mark. 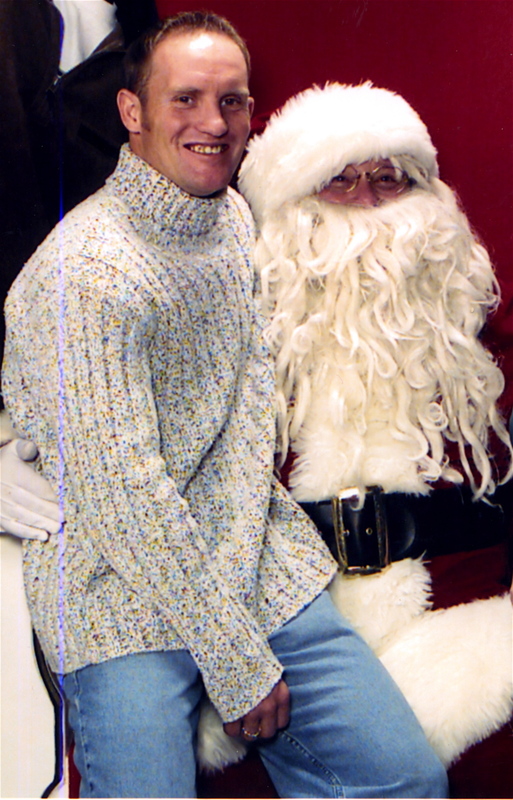 We’ve all seen it, all alone and out of place like Kenny Loggins at a hip-hop show. I’m talking about AZP’s red seat, the only one in the stadium, down the right field line. It wasn’t always red, and unless one gets right up next to it, they may not know its significance. 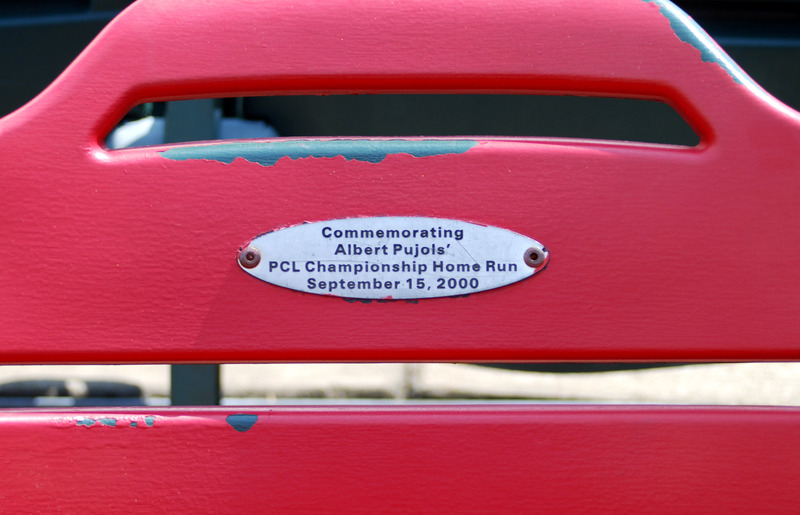 The seat commemorates Albert Pujols’ walk-off home run in the 13th inning of Game 4 of the PCL Championship Series of 2000. Up 2-1 in the five-game series, Pujols’ solo jack won the ‘Birds their first and only PCL Championship on September 15, 2000. 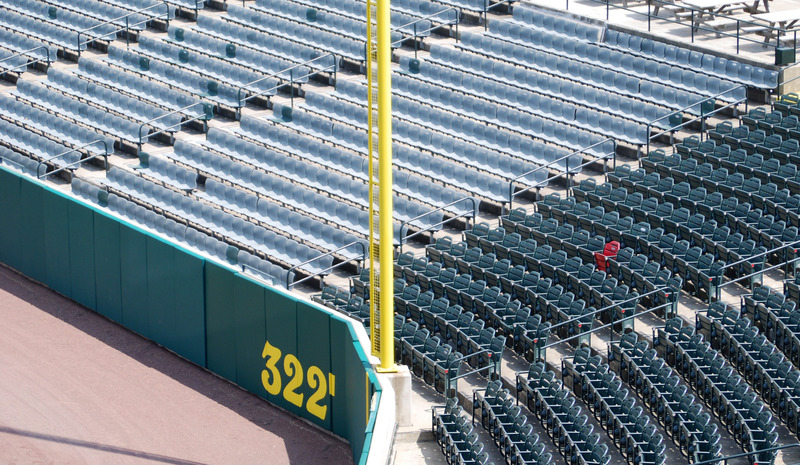 The ball landed in seat 7, row F of section 127 and is now known as ‘the red seat’. The red seat offers a great view of the park and on a really crowded day, bragging rights. 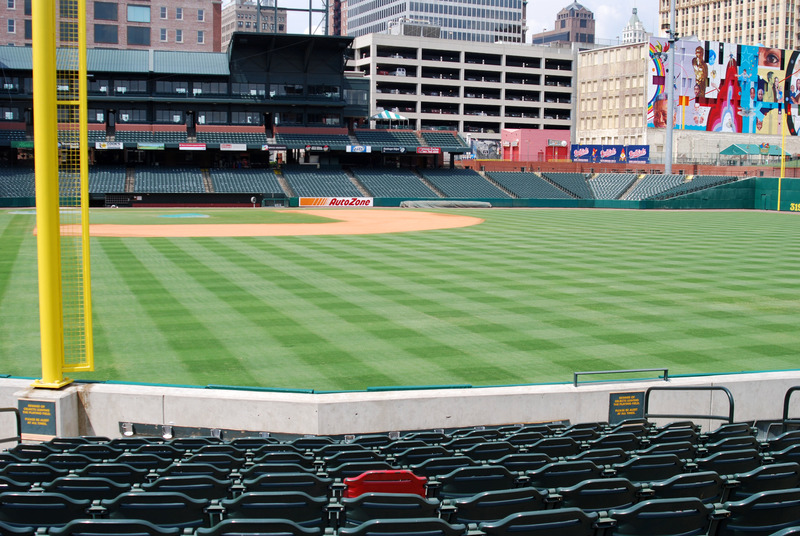 Unfortunately the team’s success did not hold forth and for the following eight seasons, while the other teams were playing well into September, AutoZone Park lay dormant. 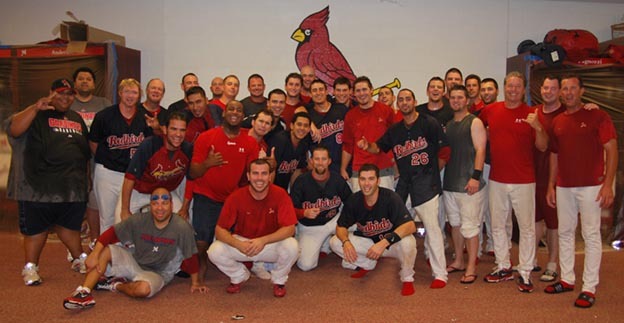 The 2009 Redbirds squad put an end to this sour streak last Saturday night by clinching the PCL’s American North division. Now Friday, September 11, Memphians and Redbirds fans all over can watch playoff baseball at AutoZone Park. And if things go just right, perhaps the park will have two red chairs in 2010. Like 2009, the Redbirds first round opponent was against Albuquerque (the Dukes). The series went five games with the ‘Birds winning the opener and the final two. The Redbirds went 6-10 against Albuquerque in the 2009 regular season and hit .253 against the ‘Topes. The 2000 Redbirds were also 6-10 against ABQ. Albert Pujols hit the most recent Memphis Redbirds post-season home run on 9/15/00. 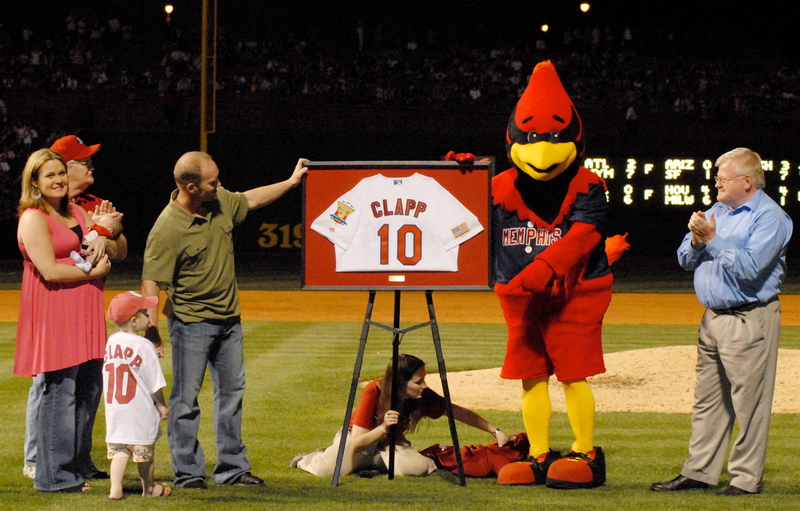 Stubby Clapp is the only Redbird to have recorded a triple in the post-season. Albert Pujols holds the team’s most post-season stolen bases with three. Stubby Clapp has the Redbirds most post-season home runs with three. Bud Smith and Bryan Eversgerd are the only two Redbirds pitchers to record more than one postseason win, each with two. Memphis Redbirds fan favorite, Richard Keith ‘Stubby’ Clapp, played seven seasons in the Cardinals organization, four of those with the Redbirds. The second baseman was known as the ‘Mayor of Memphis’ around town and delighted fans with his traditional pre-game flip, a round-off back-flip combination. Stubby helped the Redbirds win their first and only team championship in 2000 and made his major league debut the following year on June 18. He had a short stay as a Big Bird, playing in 23 games where he hit .200 (5-for-25). He was released to free agency in 2002 and spent the next two years in the Braves, Indians and Blue Jays organizations before retiring. 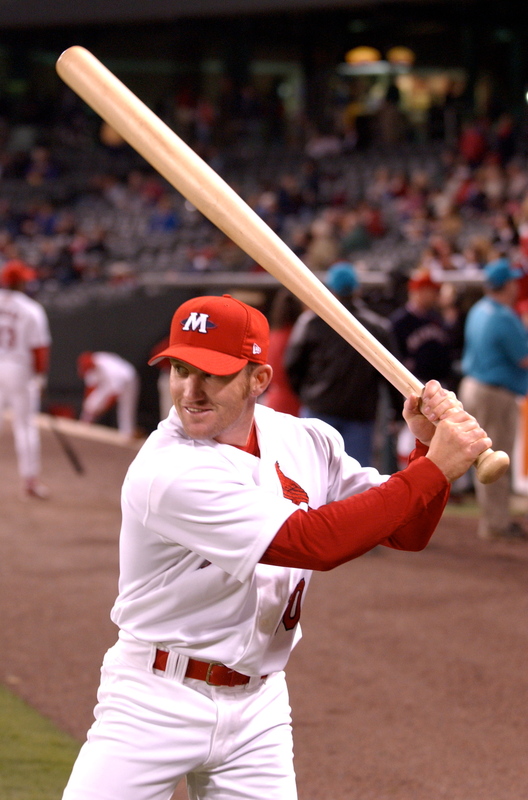 On Stubby Clapp Day (above), April 21, 2007, the former Redbird’s No. 10 was retired at AutoZone Park. The likable infielder holds the all-time Redbirds records for runs (258), walks (222) and triples (19). No other Redbird has worn No. 10 since Clapp left. 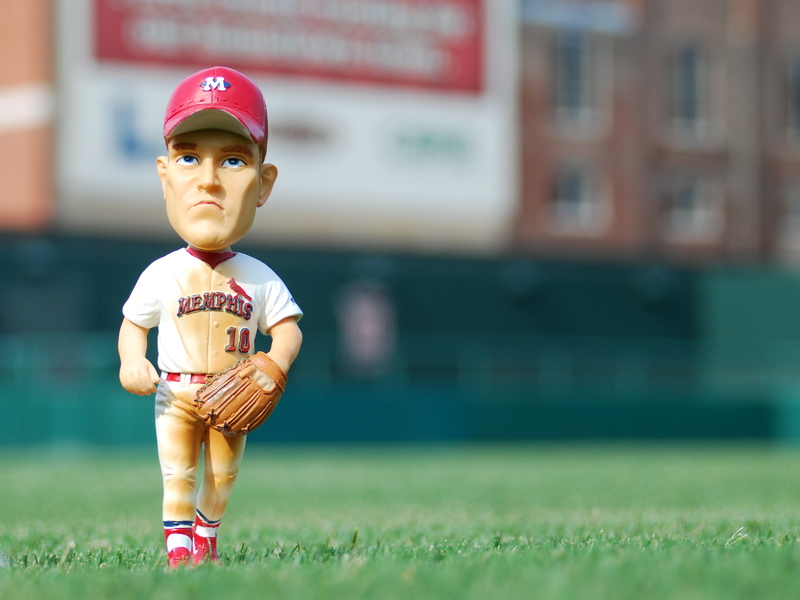 Pictured above is the Stubby Clapp bobblehead (the third of the 2009 collection) that will be given away to the first 1500 fans to attend Monday’s home game on June 8, when the Redbirds host the New Orleans Zephyrs. Clapp was known for his antics on the field (above) and off the field (below). Don’t miss your chance to grab a Stubby Clapp bobblehead on June 8th.